It's Giorgia here from CiocioScrap. 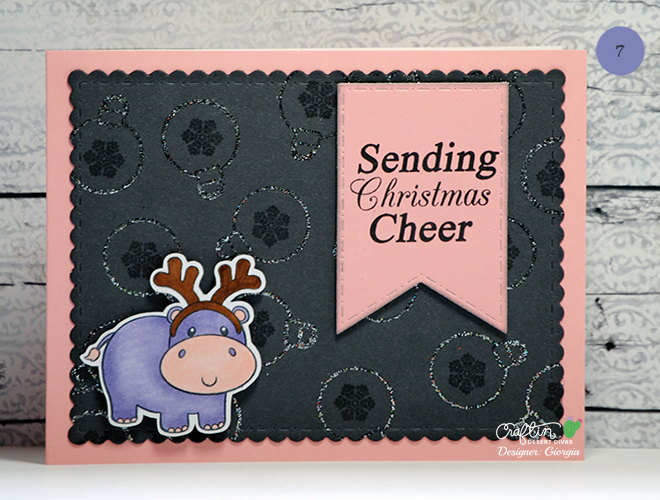 In these three days we are showcasing the fun and cute stamp set called Hippo Birdie. As you may know I'm in a roll with Christmas cards in this period, so I tried to use the set to create a Christmas card. I die cut a grey cardstock with my beloved Fancy Frame Dies. I stamped the Christmas ornaments with versamark and heat embossed with a glittery embossing powder. To add more interest, I decided to stamped, always with versamark, some snowflakes inside the balls and then let the ink dry. 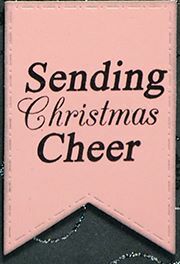 I die cut a banner out of a pink cardstock and stamped the sentiment with black ink. 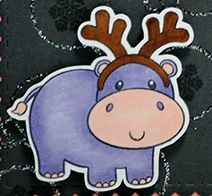 I stamped the cute hippo, putting some reindeer horns on his head, and colored him lightly with copics. I die cut and put him in the left corner of the card. Thank you so much for stopping by and I'll leave you the products' list below. Thank you!